We will meet you at your home, work, title or escrow company, or a convenient public location. At Notary Public Oakland, we appreciate the importance of handing real estate loan documents professionally. Documents are received/downloaded, prepared, notarized, and returned quickly, with professionalism and proper communications with lenders and title companies. 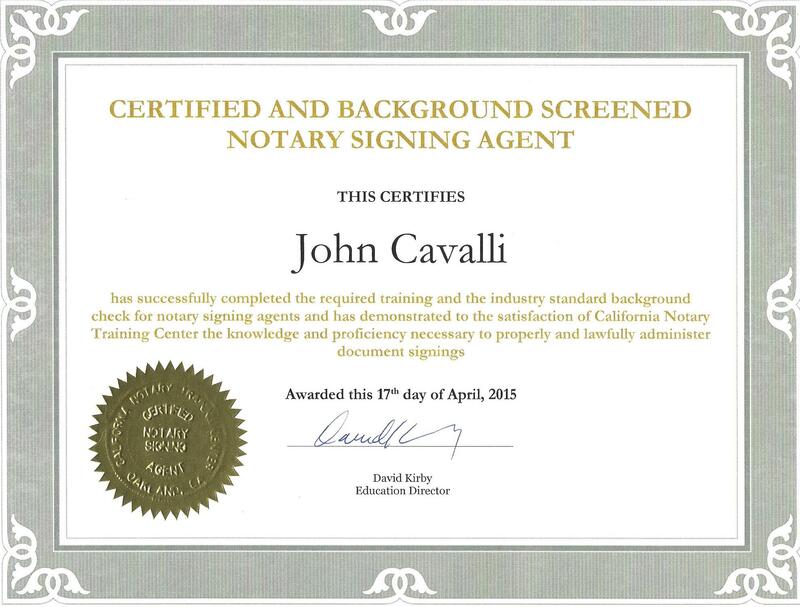 Our notaries public are commissioned by the California Secretary of State. It is our duty to protect the public against fraud. As certified notary signing agents, our notaries have passed an additional background check, carry E&O insurance of $100,000, and have completed and passed a comprehensive real estate loan training program.